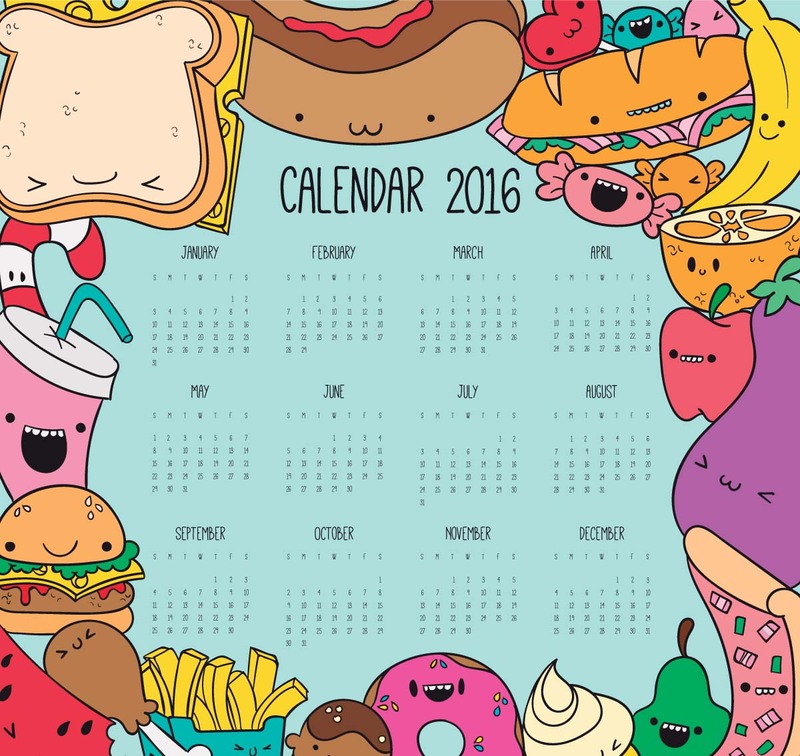 Lovely cartoon European calendar for 2016 year with funny fast food characters for your personal designs. File format: .eps and .ai for CorelDraw Adobe Illustrator, Photoshop or other vector software. 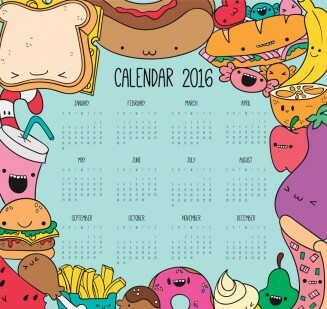 Tags: 2016, calendar design, cartoon, fastfood, flat calendar, funny, New Year.